Don’t have too much time for Indie Music Filter today, but here’s some interesting things I found while checking my feeds. A New Track by Generationals called “Say For Certain” with Laundromatinee session at My Old Kentucky Blog. New Lykke Li at Stereogum. The Recommender goes over the top five bands of the BBC Sound of 2011 Poll. 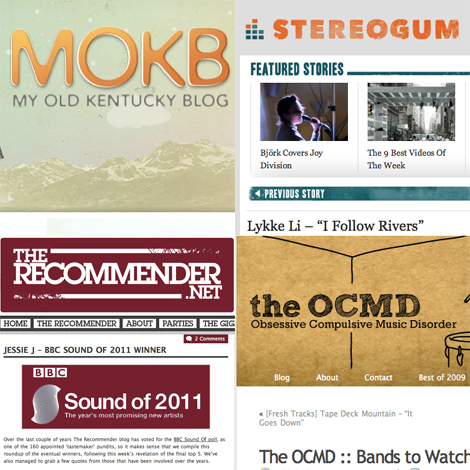 The OCMD makes their predictions for bands to watch in 2011.